Senseless waste and dumping of commercial catch has been in the spotlight since 2013. 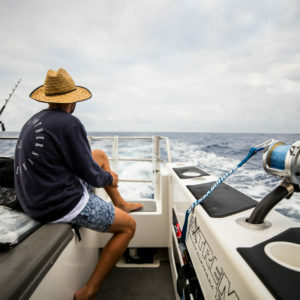 Electronic monitoring of at-sea activity is underway but the rollout of onboard cameras to monitor fishing and discards has been stymied by fishing industry opposition. The latest proposals in MPI’s Fisheries Change Programme seeks to “simplify” the rules applying to commercial fishing and what fish can be discarded. These changes are based on the theory that removing the minimum legal size for some species and reducing the penalties for dumping fish will create incentives for commercial fishers to change their gear and behaviour to avoid small fish in favour of landing market sized fish. The documents Fisheries Change documents and dates for public meetings are on the MPI website here. Submissions are due with MPI by 17 March. The proposed changes will increase fishing mortality. The way to reduce waste from catching and releasing undersize fish is to not catch them in the first place. There must be no commercial catch limit increases for a reduction in wasteful, illegal dumping of fish. LegaSea stands by the New Zealand Sport Fishing Council in advocating that the problems with bottom trawling in inshore waters will remain, and more small fish will die if these measures are applied. 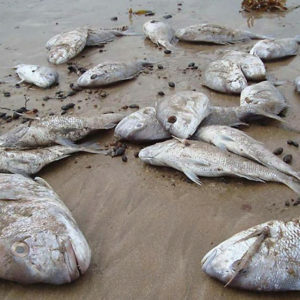 Banning all bottom contact mobile fishing methods such as trawling and dredging from the Territorial Sea, the 12 nautical mile limit, will reduce juvenile mortality and restore healthy, productive ecosystems. Fiddling with size limits is not enough. A comprehensive review of fisheries management is required to identify and address many problems with the Quota Management System (QMS). Onboard cameras may help detect fish discarding, but it is far from fool proof. Discards and losses at sea will continue with or without cameras. MPI acknowledge the QMS has incentivised commercial fishers to dump fish or not do enough to avoid small fish. Removing minimum size limits does not change the incentive for commercial fishers to sort and dump some catch for the best economic return. Wastage is an issue with trawl gear using existing or larger mesh sizes. The major public and industry investment in new fishing gear, Precision Seafood Harvesting, is catching more small fish than conventional trawl nets. If minimum size limits are removed from a species then commercial fishers must be required to sort, weigh, and record their catch for each tow or shot. There must be no increase in the overall Total Allowable Catch if no minimum size limit applies to a species. 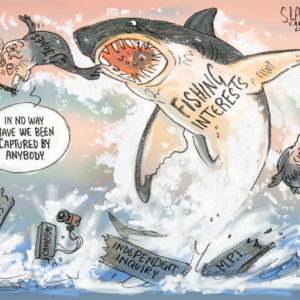 Quota holders and MPI expect there will be increases in the Total Allowable Commercial Catch (TACC) if size limits are removed and live releases prohibited. 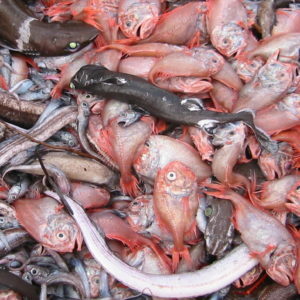 The estimates of current discards are poor and commercial fishing interests will try to claim as much as they can. There must be no TACC increase for a reduction in wasteful, illegal dumping of fish. Will removing some size limits be better for the fish and productivity of the stock? Only if fishers can avoid catching small fish in the first place. MPI will have to take into account an increase in through-net mortality if net size changes. Some species have good release survival from capture on longlines and the new Precision Seafood Harvesting method. Removing all size limits will increase fishing mortality. Will removing some size limits stop discarding and dumping? No. There have been land-all catch rules introduced in some fisheries in Europe and North America. Their management systems are quite different, but research shows that discarding and dumping continues. The economic incentives remain and enforcement at sea is problematic whichever system is used. Will removing some size limits be better for commercial fishers? Not all. There seems to be enthusiastic support from large quota owners who clearly expect catch limit increases for some species. Fishers on the water will have some hard choices about where and how to fish, what to do if they catch large quantities of small fish, and how to make a profit when the port prices come down. The cost of cameras and penalties for any infringements will fall on the boat owner and fisher, not the quota owner. This will again make it harder for the small, independent fisher and favour the large companies.